Analytical Armadillo: Calpol - It's paracetamol Jim, but not as we know it! Hands up if you give Calpol to your kids? Now keep them raised if you knew it contained FIVE E-numbers, some of which are banned in other parts of Europe and the US or that it had been heavily linked to asthma, eczema and hayfever? 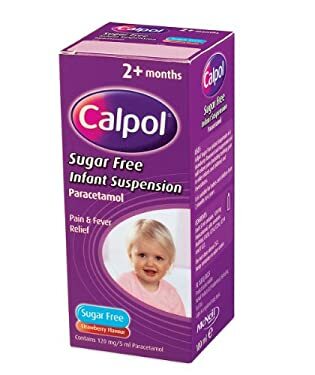 To many parents Calpol has become synonymous with infant pain relief; rather like "Hoover" or "Tannoy" - the brand has become so big, you rarely hear the word paracetamol mentioned. But take a closer look and in reality the two are far from identical products. In case you're thinking I'm having a bout of "Neurotic Mother Syndrome", it seems I'm not alone with my concerns. Research by The Food Commission has found that just 1 of 41 medications intended for children was additive free; many contained a cocktail of colourings, sweeteners and preservatives that can trigger allergic reactions such as rashes, eye irritation, stomach upsets and diarrhoea. E122- the bit that makes it pink. A suspected carcinogen; banned in Austria, Japan, Norway, Sweden and the US. May cause allergic reactions. Hyperactive Children's Support Group identifies E122 as a likely cause of mysterious and sudden cases of ADHD-like hyper-activity. E420 - A paraben preservative, can cause stomach upset. It is not allowed in foods intended specifically for babies or young children. E218 - Suspected hormone disruptor. May cause allergic reactions (possibly delayed) Hyperactive Children's Support Group identifies E218 as a likely cause of mysterious and sudden cases of ADHD-like hyper-activity. Hmmm suddenly that cute baby on the box, isn't looking quite so appealing! But as Calpol own a 70% share in the £70 million pound 'pain and fever' industry, I'm guessing they're not going to be rushing to make changes anytime soon - but why would they? Have you seen how many Calpol fan groups there are on Facebook? In contrast, although manufacturers claim reactions are rare, a poll on http://www.patientsville.com/medication/calpol_side_effects.htm found 70% of users reported a mild or moderate reaction (the link highlights some interesting ones!) Which begs the question, experts in pain relief, or experts in marketing? Surely they need it when unwell? If you really feel your child needs medicating (and I will come on to that in a moment), you can obtain generic paracetamol suspension from your pharmacist; even these sometimes contain excessive gunk, so checking the bottle is well worth the time; ditto Ibuprofen. Some parents are choosing to follow the Europeans and use suppositories with young children- neatly side-stepping the how to make it taste nice issue (even with a host of E numbers, many parents report difficulty in administering a liquid to a resistant child!). Plain Paracetamol isn't entirely risk free; apart from the possible listed side effects (which are quite rare when used appropriately), a 2008 study of 200,000 children found using the drug in the first year of life increased the risk of hay fever at age 6 by 48 percent, the risk of eczema by 35 percent and almost tripled the chances of wheezing attacks when given once per month under 12 months old. The more paracetamol a child had in the early years of life, the higher the risk. Ibuprofen has it's own list of possible effects. A higher temperature prevents many germs from functioning well and growing (making them easier to tackle) and destroys others. Fever is one way of activating and 'educating' the immune system to respond when needed. Forcing the body to cool down, not only makes the immune system function less effectively, but also allows more germs to thrive, survive and potentially repeatedly cause colds and further illnesses. Most sources state temperatures up to 39 C (102 F) rarely need any action besides cuddles and comfort, but many parents are scared of fevers and wary of a "wait and see approach" - with some believing pain killers actually contribute to helping the child fight the illness. Whilst hunting how best to treat my daughters manic temperature last weekend, I found a study in the Cochrane Database which found sponging with warm water was as effective as Paracetamol at reducing temperature. Several sources also state this is likely to reduce fever faster than medication. The proportion of children without fever by the second hour after treatment did not differ significantly between those given paracetamol and those sponged. The statistical test showed significant heterogeneity between the groups receiving paracetamol or physical methods. It is however very important to never use cold water when sponging. Although your child may feel hot, cold water causes the body to attempt to raise it's temperature - if you child starts to shiver, you should stop sponging! For full guidelines on how you should deal with a temperature by ensuing hydration, observing for serious illness and monitor temperature - this is a handy summary. Can you cite some of your sources, please? 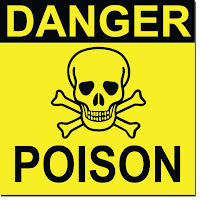 1) "Based on the same dataset for long-term toxicity/carcinogenicity, previous evaluations by JECFA, the SCF and TemaNord also concluded that based on the data available there is no concern with respect to carcinogenicity or genotoxicity. " 2) "There was no increase in tumor incidence due to carmoisine treatment." 3) "It is concluded that carmoisine is not carcinogenic"
The only information that I could find that said it was a cancer risk was "Azo dyes generally have been known to be carcinogenic" in Wikipedia. Do you have a specific reference for its suspected carcinogenicity that I missed? I felt really guilty when I read this, because I used a lot of calpol! But guilt isn't productive; I did the best I could in the circumstances and given the knowledge I possessed at the time. That doesn't mean that given more knowledge I might not make different choices. But then I wondered. 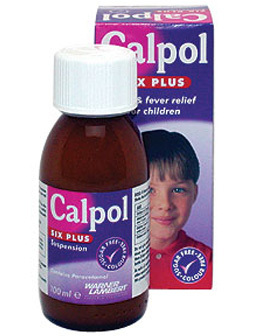 Calpol is very widely used in the UK. Those who don't use calpol are probably also crunchy/organic/cc/homeopathic types who assertively take charge of their own health. Surely there could be a confounding variable here? Unfortunately it would be impossible for me to not only dig out research for every last thing I mentioned as suspected, but then to analyse all relevant studies and establish bias, funding, accuracy etc (which would no doubt be at cost as the full papers are rarely free!) would take an age. Then imagine this for every point I make in an article. If the focus of the article is solely one specific claim, and a statement rather than a suspected) - I would of course spend the time (and in the past money) to ascertain the ins and outs. In this specific case, I'm guessing there are also reasons it is currently banned in Canada, Japan, Norway, USA and Sweden - perhaps that's the hyperactivity element? not sure as I can't find much on Google. Nor can I establish what is going on internally if hyperactvity is the outward manifestation - if it's an allergic reaction there are a lot of other factors at playinternally no? It all seems a bit ironic to me mums are advised to excluively breastfeed to protect their infant's gut, and yet may be frequently encouraged to supplement with a product banned in foods for under 3's that contains a cocktail of E-numbers! I absolutely agree regarding guilt. As mentioned in my article I have used Calpol when my DD was little, blindly unaware that there could even be suggestion of any issues in a product so widely recommended by the medical profession (Ah I was SO naive back "in the day"). I suspect that in the same way AF companies use insidious marketing techniques to influence medical professionals (ie via journal adverts, "information bulletins" etc) the big pharmaceutical companies will ensure those who matter have all the information they need. Re confounding factor, do you mean regarding the asthma? If you or anyone has access to the full study - I would too be interested in a further look. I'm not sure about crunchy/organic people (love the description though) not hot on homeopathy myself and in all other areas except parenting, think I would be considered very mainstream :)TBH the last 7 years have been a learn as you go and read all the relevant stuff I can, sort of approach (then let anything you did before GO because as you say, you can't do what you didn't know!) believe it or not I started parenting with a copy of "she who shall remain namless', happy baby book" - sure you know the one ;) My DD didn't agree and I couldn't leave her to cry, thus we found other ways. I think with internet and suchlike (previously forums and now increasingly social networking etc) many parents who aren't "crunchy" are becoming more informed; so in the same way I think non Calpol users could easily be a mum that has seen an article, or perhaps noticed a response in her own infant (which is how I started on the Calpol info hunt) I think many organic eating, AP parents also use Calpol? Otherwise, usually social factors are accounted for in large studies such as this? Also interesting that the outcomes were dose related -which would suggest more than a casual link? But as I say would be good to see the full study and read the nitty grity. thanks for your reply. Unfortunately, the CCMA thing doesn't Google. From the number of times the Wikipedia phrase gets repeated on the web, it does seem that there's a lot of the "echo chamber" effect going on: someone makes a claim, and it gets repeated until it requires respectability because so many people have quoted it. "Suspected" is a bit of a weasel word: who suspected it, and did they have any good reason to do so? I understand that this stuff takes a lot of time and effort to research - having just spent some time doing so. If there's one thing it has taught me, it's that it's far easier to make allegations than to refute them. Every claim that isn't backed up by evidence helps mask the things we should really be concerned about as parents. I'm no fan of unnecessary additives, and usually use generic paracetamol suspension anyway. As to whether allegations are easier to make than refute - depends surely which way up you look at things? One could argue that whilst the manufacturers would I'm sure be the first to state E122 isn't carcinogenic, finding evidence that confirms this without doubt is almost impossible too. Should we be looking to prove something can potentially harm infants - or looking for proof it can't? To be fair how trusting can we be when the UK is happy for our kids to have a drug that is banned in other parts of the world? With regard to the echo effect - my thoughts are that my blog is as per the title, "food for thought". My aim is to put things out there that parents may not have considered - I couldn't find anything that confirmed E122 wasn't a carcinogen (I'm not reassured particularly by studies from the 1970's, nor studies on rats really), and plenty of sites that suggested it potentially was, or could also be contaminated with something that is - so I think going with "suspected" is really quite fair. To not mention it would I feel be unfair to parents. Using "suspect" means parents who have further interest with regard to that specific point, CAN spend the hours and days hunting themselves for evidence if they wish, and make their own mind up. Findings: In the multivariate analyses, use of paracetamol for fever in the first year of life was associated with an increased risk of asthma symptoms when aged 6—7 years (OR 1·46 [95% CI 1·36—1·56]). Current use of paracetamol was associated with a dose-dependent increased risk of asthma symptoms (1·61 [1·46—1·77] and 3·23 [2·91—3·60] for medium and high use vs no use, respectively). Use of paracetamol was similarly associated with the risk of severe asthma symptoms, with population-attributable risks between 22% and 38%. Paracetamol use, both in the first year of life and in children aged 6—7 years, was also associated with an increased risk of symptoms of rhinoconjunctivitis and eczema. the Commission on Human Medicines expressed concerns about data interpretation, and concluded that the study does not provide STRONG evidence that paracetamol use in infancy can cause asthma. Wonder if the COHM can also highlight why they allow something in UK ot allowed elsewhere? Presumably they are doing another study to prove paracetamol DOESN'T cause these things the researchers claim? (as studies published in the Lacet are usually from respected sources) even if they feel it doesn't provide STRONG evidence, it obviously provides some! You can read their full statement here: http://www.nelm.nhs.uk/en/NeLM-Area/News/2009---November/06/Paracetamol-use-and-the-risk-of-asthma-in-children-and-adults-systematic-review-and-meta-analysis again, not very reassuring and certainly no suggestion there is evidence paracetamol DOESN'T cause asthma. But this is only one study - the proposed link started about 10 yrs ago. Originally I think the link was made from the respiratory health survey and researchers proposed that paracetamol reduced glutathione in the airway, causing inflammation. In a random effects meta-analysis, weekly use of paracetamol, compared with less frequent use, was strongly positively associated with asthma after controlling for confounders. There was no evidence for heterogeneity across centres. No association was seen between use of other analgesics and asthma. These data add to the increasing and consistent epidemiological evidence implicating frequent paracetamol use in asthma in diverse populations. One of numerous paracetamol/asthma studies out there. So again as you say, hard to prove beyond all doubt there is a causal effect and thus refute the manufacturers claims it's safe. But I think saying there is "a link" as per my article, is a pretty safe bet. Lets see the proof it doesn't cause asthma/eczema please - before we start suggesting people give it exclusively breastfed babies following vaccinations "just in case they get a temperature". Incidentally, the link between eczema and paracetamol seems even stronger than the asthma one from a few bits I've seen - but as sure you can google away on that one and hit the studies yourself if it's of interest. thanks for looking that link up for me - I appreciate your time following these things up. I hope that what I write doesn't come over as an attack: I'm not trying to get at you, I'm just concerned at the frequency I see allegations about safety cropping up when I can't see the evidence behind them. As this one affected me directly, I thought I'd look into it and share the results. Your point about proof is key, and I suspect we will differ about this. It is impossible to find proof that something is NOT carcinogenic: the best scientists can do is conduct studies that look for evidence that it is. If a lot of well-designed studies fail to find evidence, then in all probability the substance does not cause cancer. Science doesn't deal in absolute proof, it deals in probabilities, so if you go to scientific papers looking for proof positive, you may find the information misleading. Forgive me if you already know all this. Because of the above, I think it's necessary to assess the probability that a substance is harmful, and weigh it against the perceived benefit, and the risks of alternatives. I'm sure I don't need to tell you the benefits of pain medication to a teething infant! As to the alternatives, I've heard people advocate crushing an (adult) paracetamol, and feeding it to their child. A standard table is 500mg, and the infant dose is 120mg. Without a precision balance, it would be easy to feed your child too much paracetamol, and I'm sure you're aware of the dangers of that. The suppository idea sounds like a good one, and probably easier to administer. As to the risks: I took another look at one specific claim, that Carmoisine was a suspected carcinogen. To assess the risk, I needed to find out the source of the claim. I found this interesting, I hope you do too. The link you cited contains the phrase "unavoidably contaminated with low levels of beta- napthylamine." A Google search for 'Carmoisine contaminated' gives 2000-odd results, most of which are irrelevant. However, searching for Carmoisine "unavoidably contaminated"' throws up just 6 results, all of which spell "napthylamine" in that rather unorthodox way (it's usually spelt naphthylamine). This strongly suppests to me that they were all copied from the same source, spelling mistake included. The original document seems to be the Journal of Orthomolecular Medicine Vol. 9, No.4, 1994, web link here: http://www.orthomolecular.org/library/jom/1994/articles/1994-v09n04-p225.shtml This contains the same claim word for word, and references "Miller M and Millstone E: Food Additives Campaign Team: Report on Colour Additives" as its source. I have two problems with this: "Orthomolecular medicine" is fringe science: the term is not used in conventional medicine. Secondly, the sole source for this claim seems to be the Food Additives Campaign Team, a pressure group active in London in 1986. Where they got their information from I have no idea, apart from the allegation that it was a CCMA report. The CCMA changed its name to the IACM in 1993. I have written to them with a request for clarification, I'll let you know if/what they respond if you're interested. So after much digging, it seems that every reference to Carmoisine being carcinogenic has its roots in one dubious report by a pressure group in 1986. I don't know about you, but if I find my sources of information to careless with the facts on one specific, I tend to be wary of trusting them when they make other claims. At the end of the day, it all comes down to who you trust, and on what basis. QUOTE I think it's necessary to assess the probability that a substance is harmful, and weigh it against the perceived benefit, and the risks of alternatives. Absolutely - and to me I can't see any reason a drug needs 5 e-numbers, when you can get the active ingredient without. Regardless of suspect or proven issues, it' not as though it's the only option - but clever marketing has made it the most popular. As I say if some children can display hyperactive behaviour etc, what IS that doing on the inside, even to the children who don't appear to react? Not all consequences are immediate are they? I'm still trying to ascertain from various experts what the impact of these E-numbers is to the virgin gut, which could have massive impact for BF babies. AA, thanks - and I agree with you about the additives. It might needs sorbitol to be sweet, but I don't think colouring makes it any more appealing! Like so many OTC medicines, Calpol is great marketing for a pretty generic product. Oh and thanks for the info on asthma. It does look like there's a link there based on that last (2009) paper, even if the effect is moderate. I have a friend who took paracetamol to relieve your headache simple, her sister suffers from chronic pain and try to take paracetamol to relieve it but to no avail so they began to take hydrocodone and the pain relief which shows that it is more potent as hydrocodone information . MMM I think people are more aware of foods than meds personally - I know some mums who are really particular about food, who don't think twice about coloured/flavoured meds. Chocolate as intended is quite good IMO, it's the commercialised crap we are used to seeing that's the problem no? Mine were both weaned onto dark 70% upwards cocoa and still prefer it given a choice. The thing about inflammation in the respiratory tract is very interesting. After giving the youngest one calpol, which she strongly resisted, she developed noisy breathing. At 1st I thought she had aspiration pneumonia from struggling to get her to take the meds but now I think it may have been inflammation as you describe. Needless to say its all going in the bin now!! Re the colour. It is likely to be a safety issue. Its pink so you can't confuse it with another drug. For example ibuprofen is white and is given at half the dose. So if you thought you were measuring out paracetamol but it was ibuprofen you would notice your mistake BEFORE you double dosed your child/patient (which could be fatal). Incidentally the stuff used to put animals to sleep is usually bright blue for the same reason! However there must be an alternative to an allegedly carcinogenic colourant! Very interesting article, AA. Particularly with reference to the possible adverse effects of stemming a fever using paracetamol. I think many of us reach for calpol for its antipyretic properties, but nowadays I will 'allow' my daughter to be a little bit feverish when she's unwell. It'd be interesting to see if there are any studies looking at rates of recovery for children with minor illnesses who have a fever suppressed versus those who are able to 'sweat it out'. As for the e-numbers - generics definitely go easier on those, I agree. I know the medicine needs to be made palatable, but it doesn't need to be made pink. And I strongly disagree with the use of artificial sweeteners in childrens medicines. There is a lot to be said for alternative methods of reducing temperatures in infants and children. Stripping a baby down to vest and nappy, giving them cooling liquids, and skin to skin contact can reduce their temperature. A mother's body temperature will adjust to maintain normal body temperature of her newborn infant if they are placed skin-to-skin - so if the baby has a high temperature, mum's body temperature will drop - and vice versa, although I don't know if it has the same effect on older infants and toddlers. I'd like to believe it to be the case - don't all babies become clingy if they're unwell? They want to be held close and so it would make sense to me! I do struggle personally though - as a nurse we are programmed to dish out pills and potions for every illness and ailment - but as a parent and an individual I naturally veer towards holistic methods to treat illness. Thanks for this, it's very interesting reading, AA! Hi AA. I found this extremely interesting. My thoughts though are when my 4 and 6 year old complain of headaches or toothache etc. As an adult we would probably choose some analgesia. What then are parents meant to give? Presumably plain paracetamol? Would appreciate your thoughts/views. when my GP prescribes paracetamol for my child the pharmacy always give us calpol. next time I'm gonna ask to see if they have an alternative on the NHS.